Few things are quite as frustrating as finding exactly what you need — but it doesn’t show up until the need is gone. Like when you order hurricane supplies from Amazon, but they don’t arrive until the storm has passed. While not everyone who applies for a new credit card needs the credit right away, sometimes you really need that financing, and you need it now — not a week from now. So that begs the question, exactly how long does it take to get a credit card? Unfortunately for those in a hurry, most credit cards will take between seven and 10 business days to arrive in your mailbox. And that’s assuming you were approved right away. If your credit card application gets you a dreaded “Pending” response, then it may take several days (or more) to receive a response to your application, let alone putting your hands on the card itself. The easiest way to ensure you’re approved right away is to only apply for credit cards for which you have a good chance of approval. You can increase your chances by checking your credit score and selecting a card that usually approves applicants with similar credit scores. You may also want to check for pre-qualification offers to find the cards that will be the best fit. You can contact your issuer’s customer service department to check on your application status. If your application does need further review, you can often expedite the process by calling the customer service or application line for the credit card issuer. Pending applications usually require simple verification of certain information, like confirming your annual income, which can be done easily by phone, rather than having to wait for the request to come through the mail. This can significantly speed up the approval process. Even if you’re approved right away, of course, part of the reason for the long time between being approved and receiving your new card is that, well, your card has to be made. Depending on the type of card, your name must be imprinted or etched into the surface, and your account information and other details programmed onto the EMV smart chip that gets embedded in the card. Only then can it be placed in an envelope and sent off through the mail (a process we all know takes significant time all on its own). Additionally, if you have applied for a secured credit card, you’ll need to make your required minimum deposit before the card will ship. This can typically be done as soon as you’re approved, and will generally require a transfer from an active checking or savings account. If you apply for your secured credit card in a local bank branch, you may be able to make your deposit using cash. All that being said, you may have an option to get your card as soon as the next day, if you’re willing to pay for it. Many credit card issuers will allow you to request overnight shipping on your new card, but they’ll likely charge you a fee for the expedited processing and shipping. 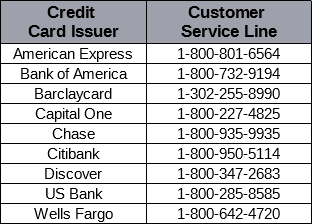 Keep in mind that not every credit card will be available immediately, and that you may not be able to have a card delivered on a weekend. Depending on your situation, even overnighting your credit card may be a day late and a dollar short, leaving you in a financial bind. In this case, you may want to look into one of the card issuers who will allow you to access your credit line as soon as you’re approved. These issuers will often provide you with your credit card details online, allowing you to start making purchases right away. One thing to remain cognizant of is that you’ll likely still need a physical card to make purchases in person at a retailer or other merchant. This means you’ll be limited to online purchases with your new card information until you have a physical card in hand. Capital One credit cards are some of the easiest to start using right away, provided you’re comfortable downloading and logging into the Capital One mobile application. Reports indicate that you should have access to your card number and expiration information for your new Capital One card directly in the mobile application as soon as you log into your account. While not offered by every American Express card, some newly approved cardholders are given the option to receive their card information as soon as their online application is approved. The catch with Amex, however, is that not all of the information will be the same as what’s on your new card. Specifically, while the card number itself may be the same, the security PIN and expiration date are typically temporary fillers that will only be valid until you activate your physical card. This means you can make online purchases, but should avoid setting up any recurring payments or other subscriptions, as the card data will no longer be valid after you activate your card. While the Amex EveryDay® Preferred Credit Card has great bonus categories for everyday use, remember that you won’t be able to use your card in-store unless you have the physical card in hand. This card can be even more lucrative for consumers who use their card frequently, as those who make at least 30 purchases with their card per billing period will earn 50% extra points on those purchases. The Blue Cash Preferred® Card from American Express provides a hard-to-beat rewards package, including 6% cash back on grocery purchases (once you have your physical card in hand, that is; only digital purchases can be made with your temporary information). The Platinum Card® from American Express is a good travel card that can often be used to make online hotel or airline purchases before you’ve even received your card. If you travel often enough to use the travel credits that accompany the card, the Platinum card’s high $550 annual fee can be cut down quite a bit. The most common type of credit card that allows you to start purchasing right away is a branded store card. Frequently offered right at the register when you check out, you can typically put your current purchase on your new card, as well as any other purchases you care to make that day (or any day, for that matter). Many store cards will even provide you with a special discount or rewards offer for signing up and using your card the same day. Whether you forgot an important event or simply are running out of needed supplies, being able to use your Amazon.com Store Card right away can be a huge boon, especially when combined with one-day (or even one-hour, in some locations) shipping. While the card itself has no annual fee, if you choose to use Amazon Prime, be prepared to pay a yearly fee for the service. Many store cards with special financing operate under deferred interest, and the Amazon.com Store Card is one of them. Pay off your balance before your financing expires to avoid being charged interest fees on your full purchase amount. With the Home Depot Consumer Credit Card, you can not only finance that important home improvement (or repair) purchase right away, but if your purchase is $299 or more, you can also take advantage of special financing. As with many special financing deals, the Home Depot Consumer Credit Card charges deferred interest, so you’ll be charged interest on your entire purchase amount if you don’t pay it off before the end of your financing period. Whether you’re running short on groceries, or simply can’t wait for that new TV, the Target REDcard can often be used as soon as you’re approved to make any Target purchases you need. The Target REDcard’s discount can also stack with manufacturer’s coupons and Target coupons for extra savings. Keep in mind that certain transactions, such as gift wrapping, may not qualify for the 5% discount. One of the hardest lessons for many people to truly embrace is that patience is a virtue, and one we should all practice. At the same time, while it may be a virtue, patience isn’t always an option — like when a hurricane is headed your way and you need important supplies. In situations where you just can’t wait for your card to arrive, you may still have some options for finding immediate financing. 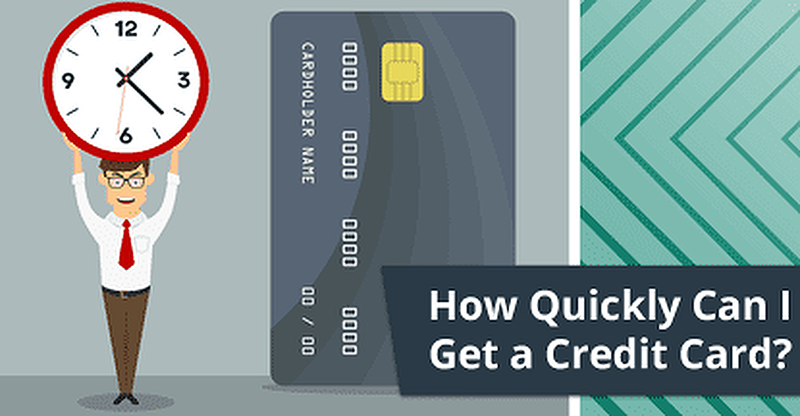 Of course, you’ll need to be a little picky about which card you apply for, and what type of purchases you can make with your credit account before your card arrives. Furthermore, you should be careful about racking up a huge balance before you have account information in hand to avoid issues when it comes time to pay the bill. This can be especially important for store credit cards, as you often won’t set up your online account until after you receive your card, making it more difficult to pay your bill, particularly if you cannot pay your credit card balance in-store (which is often the case).